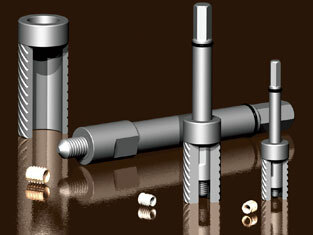 Tappex have responded to new market demands and developed an improved range of 031 Hand Installation Tools for use with the Trisert and Trisert-3 inserts in thread sizes from M2 to M10, these come complete with an alignment bush. The following are downloads relating to the Installation equipment range, although a downloads may also be applicable to other product ranges. General information can be found on our downloads page. Features and description of the Tappex Hand Installation Tool.